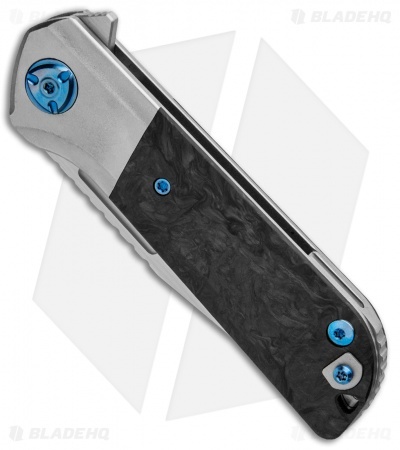 The Lanny flipper is a solid EDC design from Liong Mah. 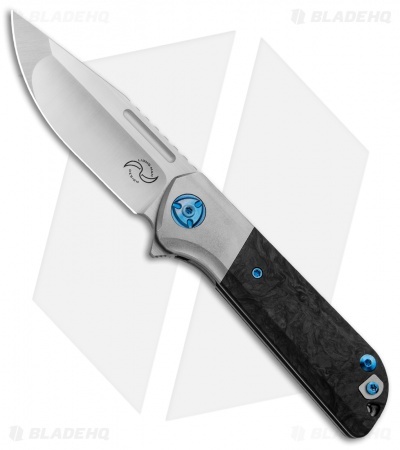 Its compound ground Bohler M390 blade opens in a smooth, predictable fashion on the ball-bearing pivot and locks up perfectly. The titanium frame lock handle sports marbled carbon fiber scales and comes outfitted with a textured titanium backspacer, milled titanium clip, and an added lanyard hole. Titanium frame provides a durable, lightweight build. M390 blade steel offers a excellent cutting performance and edge retention. Love this stout little EDC. 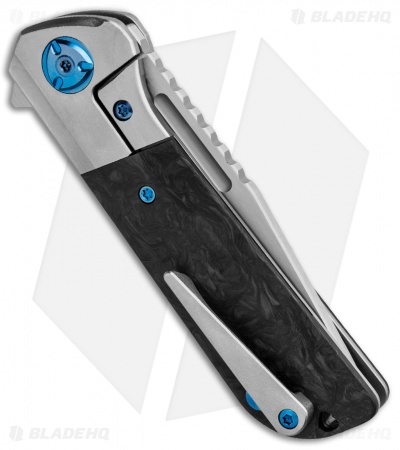 Solid build, smooth action, near perfect fit and finish. I say "near perfect" in regards to the show side filler tab for reversing the clip. No fitting was done to the tab to make at least flush with the scale. I feel the sharp edge of this pretty often and the retaining screw through the middle of it sticks out pretty far. Maybe I'm asking for custom level touches - but I guess it stands out on this knife because of the otherwise perfect fitting. Would not hesitate to buy again though, had a few Reate models that are all the pinacle of production blades.